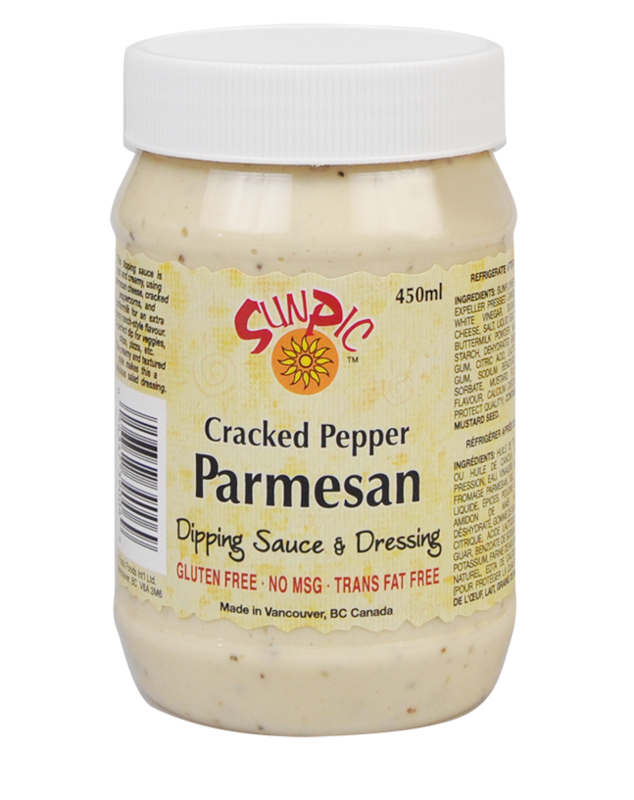 This dipping sauce is rich and creamy, using Parmesan cheese, cracked peppercorns, and buttermilk for an extra fancy ranch-style flavour. A perfect dip for veggies, chips, pizza, etc. The creamy & textured style makes this a delicious salad dressing. The typical shelf life of properly stored dipping sauces is approximately 10 months from the date of manufacture. Refrigerate after opening to maintain quality. Do not freeze. 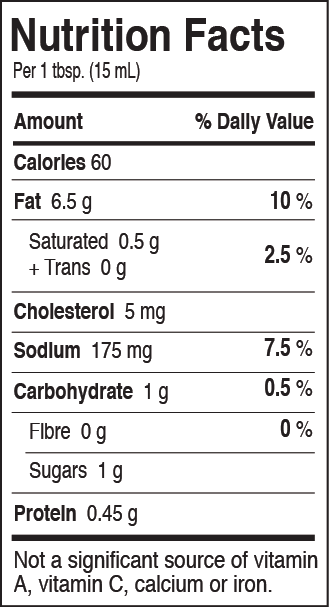 © 2014 Fazio Foods International Ltd. All rights reserved. Designed and directed by: Thelma Palma and Rosa Craig.